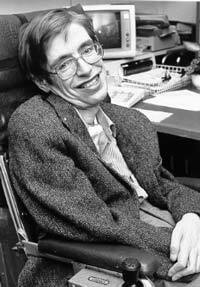 Stephen Hawking is a renowned theoretical physicist and astronomer. Currently, he works at the University of Cambridge as a physics professor and is still collecting awards attributed to his works. He is well known for his exploration and discovery pertaining to black holes and the fact that they produce radiation. Stephen Hawking’s background is an ambitious one. Born in the midst of World War II and on the 300th anniversary of Galileo’s death, Hawking’s mom had to be transferred to a safer place when she was about to give birth. This safer town was Oxford, the place in which he would be raised and receive his education. The quality of the education at Oxford did not satisfy Hawking. It was his father’s idea for him to take a career similar to his and walk in his shoes in the medical field. But Stephen wanted something different. He was more inclined to science and wonder. Despite his love for mathematics, Oxford College did not offer that discipline. Instead, he pursued chemistry as his main subject. From Oxford, he joined the University of Cambridge to undertake studies in cosmology and general relativity – the works of Einstein. In 1963, at the age of 21, Hawking made frequent visits to the hospital for tests to explain his developing clumsiness that was becoming more persistent since his time at Oxford. Later, he was diagnosed with a motor neuron disease known as Lou Gehrig’s disease, or amyotrophic lateral sclerosis (ASL). This debilitating medical condition quickly deteriorated his health and doctors said he would not live long enough to complete his doctorate. But according to Hawking, he was enjoying life more than in the past and was determined to make grand strides in the field of astronomy. Ten years after his diagnosis, Hawking was fascinated by the works of theoretical physicists Alexander Starobinsky and Yakov Zeldovitch. They discussed the likelihood that radiation could be produced from black holes. He took the discussion seriously, verified it, and even predicted the amount of radiation that is produced. Although his calculation and formula are accurate, the technology to show this has not yet been developed. His precise theoretical explanation was that particles are created in pairs, such as black and white pairs. In the process of a black hole formation, the black particles are absorbed, leaving the white particles without a partner. This appears as radiation and is measurable. Together with Brandon Carter, D. Robinson, and Werner Israel, they concluded that a black hole is described by three common properties: angular momentum, electric charge, and mass. In conjunction with Jim Hartle, Hawking was able to develop the no-boundary in space ideology that predicted a barred universe. A further dialogue with Neil Turok actually led to the conclusion that the proposal was in unison with the nature of the universe. In addition, Stephen Hawking studied and contributed ideas to the field of astronomy including cosmic inflation, the density matrix of the universe, quantum cosmology, string theory and more. He has been awarded more than 15 awards due to his contributions to this science.